For the second day in a row, San Diego County is under a red flag warning. That means the hot, dry, windy conditions are favorable for wildfires. The National Weather Service has issued a high wind warning, which is in effect until noon Wednesday. The strongest winds expected Tuesday afternoon and Tuesday night. After the high wind warning expires, a wind advisory takes effect until 6 p.m. Wednesday. 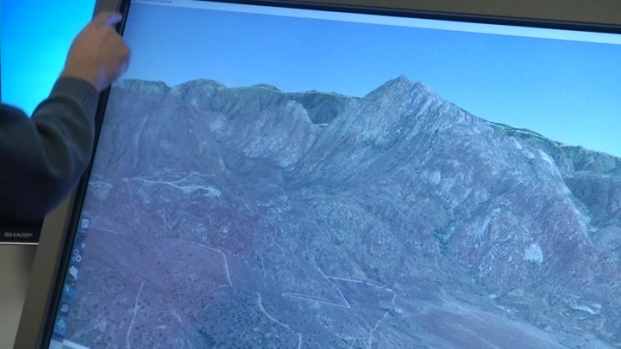 After downed power lines were blamed for starting the Witch Creek Fire in 2007, San Diego Gas and Electric installed dozens of weather stations to find out where winds were the most dangerous. Five years later, NBC 7's Greg Bledsoe shares what they've learned. Meantime, San Diego Gas and Electric has meteorologists manning its control center 24 hours a day. They’re monitoring the 149 weather stations around the county. One weather station recorded gusts of more than 70 mph Tuesday. In addition to meteorologists working round the clock, the utility also has crews staged near some of the windiest spots of the county. 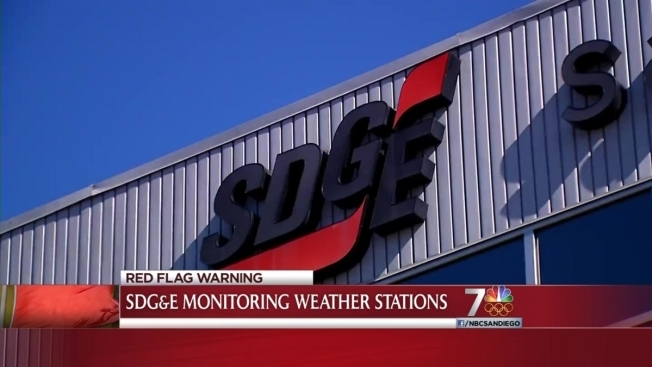 “If there was wind gusts that did cause damage to our system, they're already there or pretty darn close,” SDG&E Spokesperson Stephanie Donovan said. “If there's any sort of fire potential, they're there to put it out and then as much as possible restore the service as quickly as possible," she said. SDG&E did shut off one of its transmission lines Tuesday because of high winds, but it only affected one customer.